Maintaining roads is never an easy task. Work has to be done as fast as possible to allow motorists proper access to the roads or highways. While speed is a factor, it has to be completed with great accuracy in order for the roadway to maintain its integrity. This is why paving contractors should invest in the best equipment to deliver fast and efficient performance. Ronyak Paving, a family owned company, is one paving contractor with a reputation for properly maintaining roads. As such, they do require efficient machine tools which they can rely on to complete tasks. 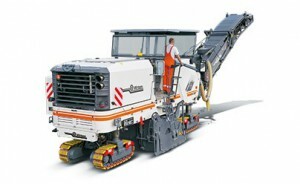 One milling machine manufacturer that has really impressed them is Wirtgen. Wirtgen machines have a reputation for cold milling substantiated by reputable millers around the globe. What Exactly is Cold Milling? This process may sound simple, but it follows a complicated pattern. The process starts by removing asphalt or concrete surfaces to build another level of pavement that is more refined. If it will just be removed to be replaced by another pavement layer, what is the use of removing it? Why not just put another layer on top of it? Simply put, the pavement will just deteriorate after a period of time when it is not completely renewed. Chances are, those bumps and holes will just come out after a year or so and bring out the same problems that existed prior to having rehabilitated the road. This process requires the use of efficient heavy equipment and Wirtgen milling machines have been found by Ronyak Paving to be the most efficient do the work. The paving company’s president, Sean Petersen, says that after seeing the milling machine in action, the decision was easy. In fact, he reported that the Wirtgen equipment was at least 30% more productive than machinery from other manufacturers they had used. The company added a W210i milling machine to their operation as well as the W/W 150i cold miller which offers a compact designer with plenty of power to outperform larger machines. They are capable of large surface milling, removing layers of pavement, and leveling. They are capable of cutting up to 12 in into the pavement in a single pass. These milling machines are also used by other companies simply because the equipment is built to be durable and offer impressive power to perform heavy tasks on the road. The cost of investment seems to be justified by the machines overall performance.